I have already recorded a video giving my immediate post-theater reactions to The Force Awakens and written out a spoiler-free review of the movie. Now I’m writing analyses of specific aspects of the movie one by one. 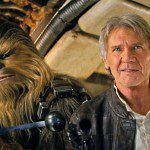 You can read my analysis of how the film used Han Solo in my post On The Uses and Abuses of Han Solo in The Force Awakens. Below is my spoiler-filled take on the treatment of Luke Skywalker in the film. Like most fans, I imagine, I was blown away in 2012 by the news that not only would there be new Star Wars films but that they would reunite the original lead trio of Luke, Leia and Han. Mark Hamill, Carrie Fisher, and Harrison Ford were all still around. They’d aged perfectly into place for a story set thirty years after the original trilogy ended. Of course I fully understood and expected that we would see a new generation of characters introduced to take over for when they, inevitably rather soon, would be simply too old to be counted on to be main players in the Star Wars galaxy. For now though they were still young enough to tell another few movies’ worth of stories that kept them at the center. People in power are typically older. We could see how these classic characters had grown into their roles as leaders and how they dealt with challenges from younger characters who represented the future, for better or for worse. We could resume these legendary characters’ arcs and let their replacements emerge from within their story. But we didn’t get that. And we didn’t get that to such an extent that I feel like really all Mark Hamill and Carrie Fisher were doing here was the equivalent of promotional work to pump up the films so that audiences would come in and give the new characters a shot. I find it extraordinarily dishonest to send Mark Hamill on press tours talking about how much he loved being a part of a film that it turns out he actually never says a word in and only appears on screen for a couple minutes in. I find it extraordinarily dishonest that they used in the trailer a clip that was easily interpretable as his metal hand reaching out to touch R2-D2 in a Mustafarish landscape when that clip is only a feature of a vision that Rey has and not actually an element of Luke’s story or appearance in this movie. I find it extraordinarily dishonest to center the second teaser trailer on Luke’s narration when in fact this is a movie that, despite his name being plastered everywhere, doesn’t feature him saying a word. Now, sure, you might point out that they did hint that Luke might not be around by leaving him off the film’s poster and leaving out any direct footage of his face from the commercials. But this was easily interpreted as being because they had such a huge, satisfying, and climactic surprise involving Luke that they were keeping him under wraps to make his reveal maximally effective. When an entire movie starts with the incredibly mysterious and exciting crawl that tells us right up front that “Luke Skywalker has vanished” it seems to be promising that at some major point in the narrative Luke will return and the mystery of his whereabouts will pay off big time. But instead, it’s just a matter of misdirection. The opening crawl telling us “Luke Skywalker has vanished” actually isn’t a promise that Luke is in position to have a dramatic return that will be key to the plot resolution and tell us revelatory new things about this iconic character we’ve wanted to learn more about for thirty years. Instead it’s information that despite Mark Hamill being still young enough to contribute significantly to another couple Star Wars movies, he’s vanished from the franchise for the time being. He prematurely doesn’t get to be an onscreen character anymore. He’s reduced to simply a myth and a macguffin. This was not only a waste of a character with much more story in him but it was a marketing bait and switch which revealed Disney was merely exploiting our love for the character to get us into the seats to watch the new characters they’re banking their franchise on. 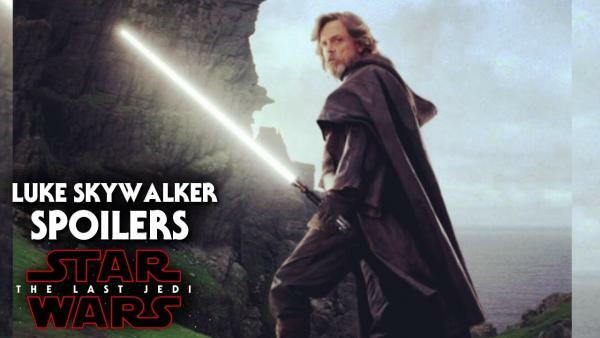 Perhaps, having gotten the new characters on somewhat firm footing in this first new film, there will be a significant and satisfying supporting role for Luke in the next movie. But in that case they could have been blunt about that up front and said, Luke will only have an intriguing cameo in this film but don’t expect him until the next one, instead of sending him off to sell the movie that he’s not significantly actually in. And given the lack of respect for the potential of Luke, Leia, and Han in this movie, I’m not sure we have any good cause for hope that they have much of interest planned for Luke beyond putting him in the Obi-Wan mentor role to the next generation of Jedi. That’s just a failure to treat the character as interesting in his own right. It basically says, “he started out as one archetype and we’ll just move him into this other archetype now rather than develop him further into the more uniquely sketched character that he was becoming”. Now to an extent many of my concerns are meta-frustrations about feeling like I was promised a new movie with Luke Skywalker for three years, after wanting one for thirty years, only to sit through the entire thing waiting for him and not have him show up until his wordless appearance at the end. And you might say, “they didn’t make the movie you wanted or imagined you were promised but that doesn’t mean the movie they did make wasn’t good”. But I think Luke’s absence does hurt the movie. 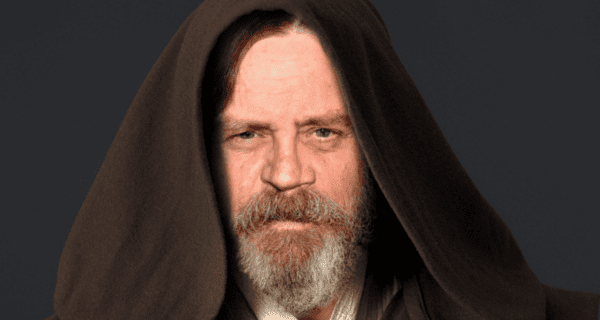 After Episode VI it is difficult to be denied the experience of Luke’s transformation into someone who would leave the center of important action when billions of lives are at stake in Episode VII. This makes Luke look cowardly or irresponsible. 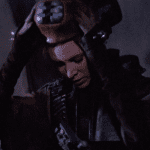 Perhaps Luke just fears that unless he does research at the original Jedi Temple he will inevitably just make matters worse in creating new Jedi who will continue to be capable of going over to the Dark Side and doing more damage than good? That would have been an interesting story to tell. We left Luke in Episode VI where he didn’t feel that way. It’s disjointed and jarring to jump to Episode VII and skip the part where he learns this character evolving lesson. 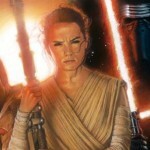 Perhaps the filmmakers feel like we already saw how Yoda and Obi-Wan blew it and were sent into hiding to regroup while the Empire was too strong to directly attack and we are supposed to just fill in that Luke has had their experience for himself and is in hiding waiting for the moment he has a new hope in a Rey the way that Obi-Wan and Yoda were getting old waiting for him to mature at the start of A New Hope. This seems like the only way to make sense of the narrative and of Luke’s decision. He’s hidden himself and left his lightsaber with Maz Kanata as a sort of light saber of excalibur for the next new hope to find. The problem with this story choice for Luke is that it basically decides not to give him his own new path-breaking arc we’ve never seen before but reduces the character back down to archetype. He’s just another Obi-Wan, running a cycle from cocky young padawan avenging his master’s murder to failed Jedi trainer who goes into a chastened hermitage to wait for a new hope to emerge. It’s one thing to base your characters on archetypes, that’s just classic storytelling success in the making, but it’s another thing to imprison them as just hopelessly doomed to repeat their precursors exact steps instead of develop into someone new and successfully distinctive. By Return of the Jedi Luke Skywalker had grown from a character seen a hundred times before into someone with a unique and legendary arc. It’s such a waste to now just relegate him to being The Obi-Wan Kenobi Of A New Generation. There is still room for the next two trilogies to break out of this derivative mold they seem to be casting. But given how tediously and cowardly derivative The Force Awakens was, I will believe they have smart plans in store only when I see them come to fruition. 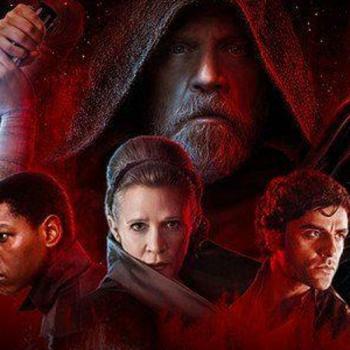 Come discuss this post and the movie, or Star Wars in general, with us by joining the Camels With Hammers closed Facebook group for people who have seen the movie or don’t mind learning spoilers.